This recipe for Homemade Vanilla Simple Syrup is so super simple to make you'll want to make it all the time! Vanilla Simple Syrup can be used in cocktails and food recipes alike. Here are the simple steps to follow to make this recipe in under 15 minutes! You are going to combine equal parts of water and sugar. Heat them together on the stove until the sugar is completely dissolved. Now add in the vanilla extract. It will turn your mixture to a yellowish-brownish color. Let the vanilla infuse into the water and sugar mix for a few minutes while it cools. Jar it up and stick it in the fridge. See, simple as that! You can make as much or as little as you would like. 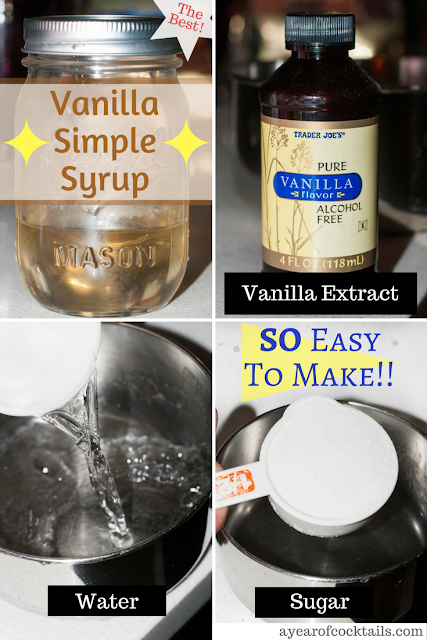 Here is my recipe for Vanilla Simple Syrup. In a pot add the water and sugar. Heat up until the sugar is completely dissolved. Turn off the burner and add the vanilla extract. Let it cool and then store it in a mason jar or other air tight container. 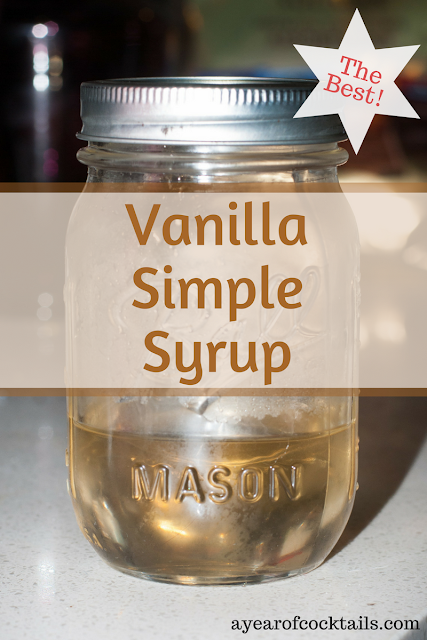 Now you can use this fun flavored simple syrup in your next recipe!